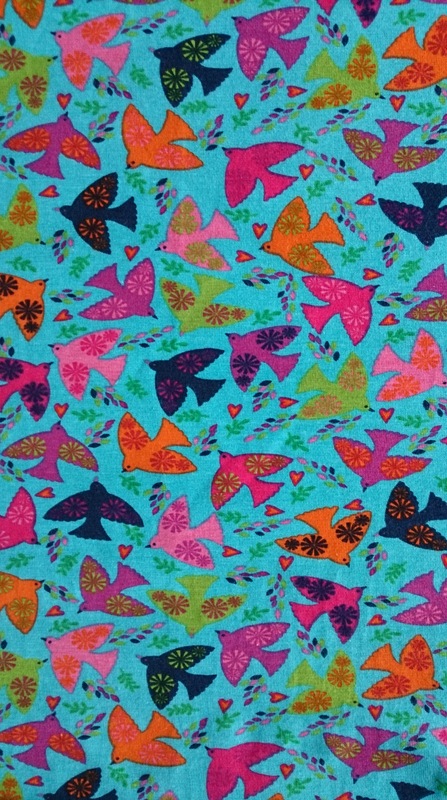 I bought this rather fabulous printed jersey from my local fabric store, Watson and Thornton. 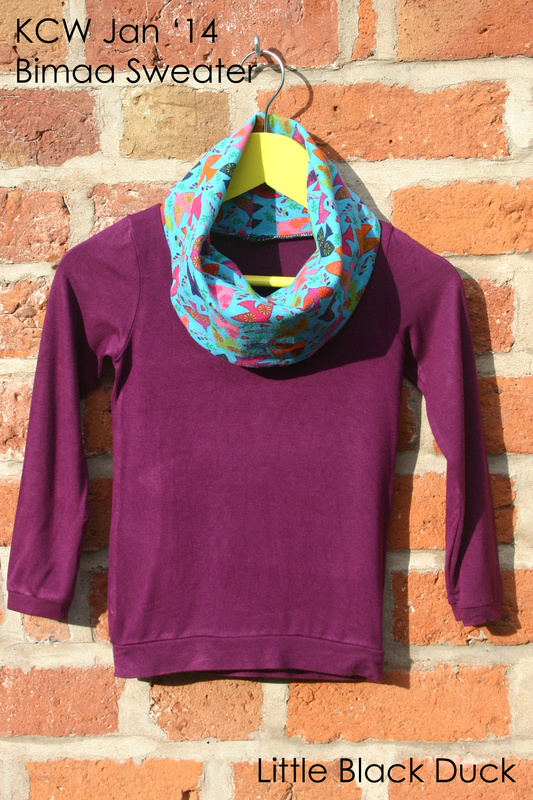 The fabric is a printed jersey called ‘Flying Away’ by Poppy Europe (which I can’t seem to find a link online for you) and was the perfect choice for the Bimaa tops. 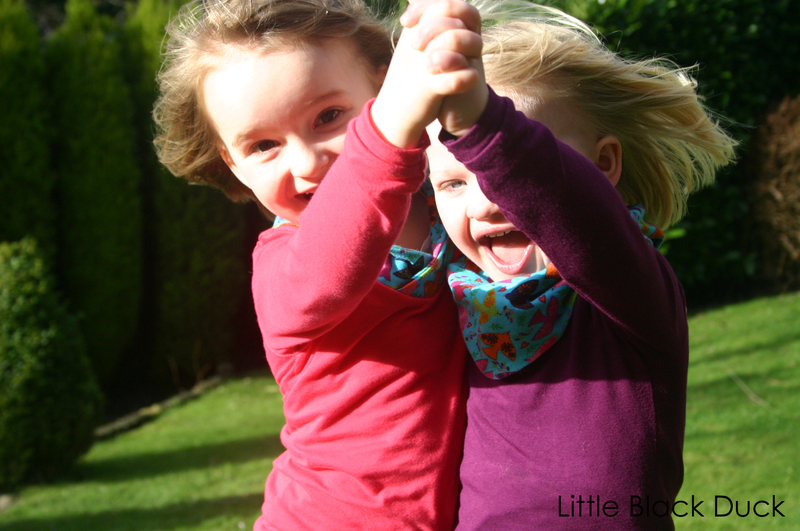 I can’t remember exactly how much it cost, but I remember thinking at the time that it was more than I would normally pay for fabrics for the girls clothing… so I only bought half a metre (how tight am I??). She calls it her scarf top and is still quite confused as to why the scarf will not come off! Charlotte was so pleased/relieved when she found out that I was making a top for her too. 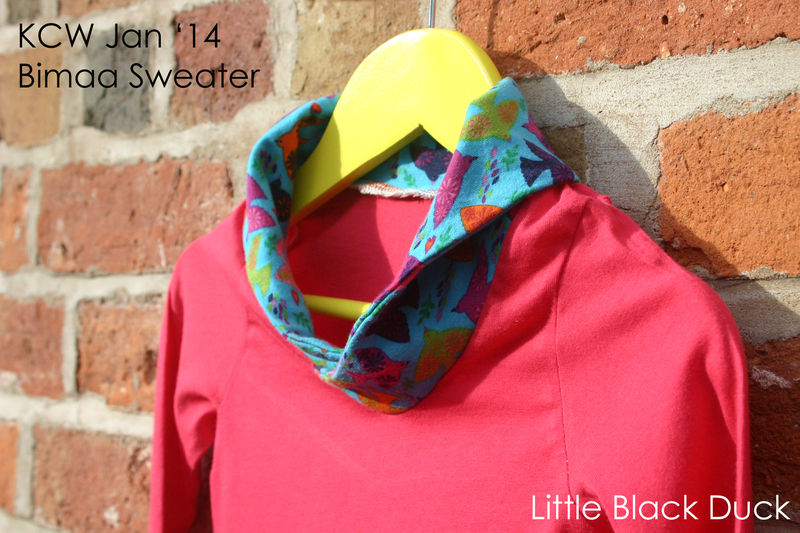 There was just enough of the bird print jersey left to make a shawl collar version for her. Please excuse the white thread on the inside of the top. I only have black or white thread for the overlocker (serger) and I just couldn’t wait to get sewing so I just went with the white…lazy, lazy, lazy! I love the shawl collar, but not as much as the cowl version…the cowl version looks more generous and I think better on a small frame. What do you think? 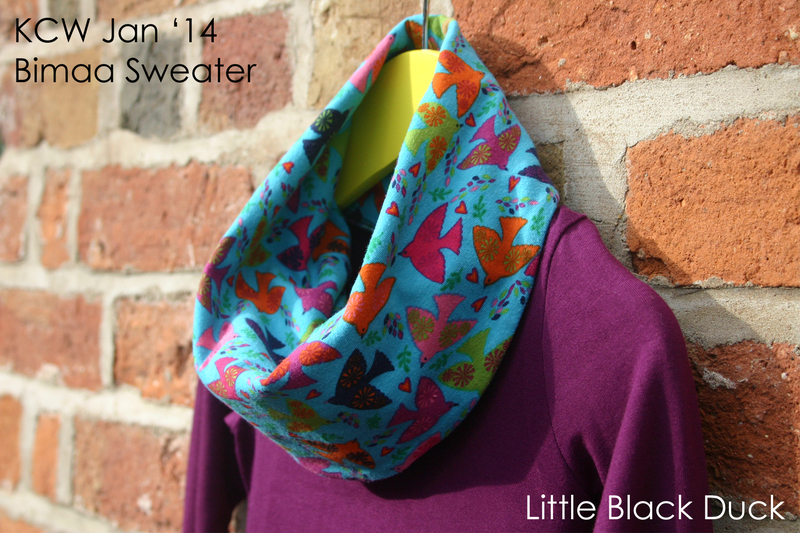 Included with the pattern is also a hooded version (three looks for the price of one! ), which I’d love to try at some point in the future. 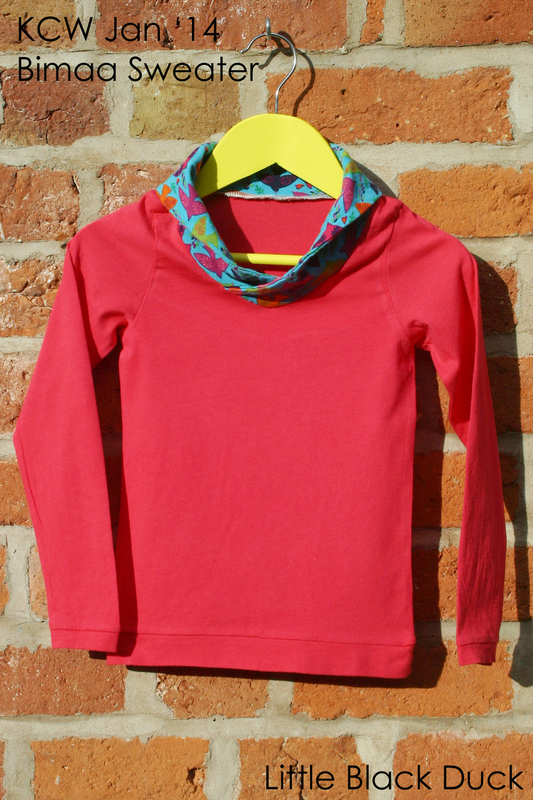 I managed to get some pictures of the girls wearing their Bimaa tops last weekend on a (very) rare sunny day. I took a load of pictures, but the girls were full of high jinks and ‘ballet practice’ so this is the best shot you’ll get!